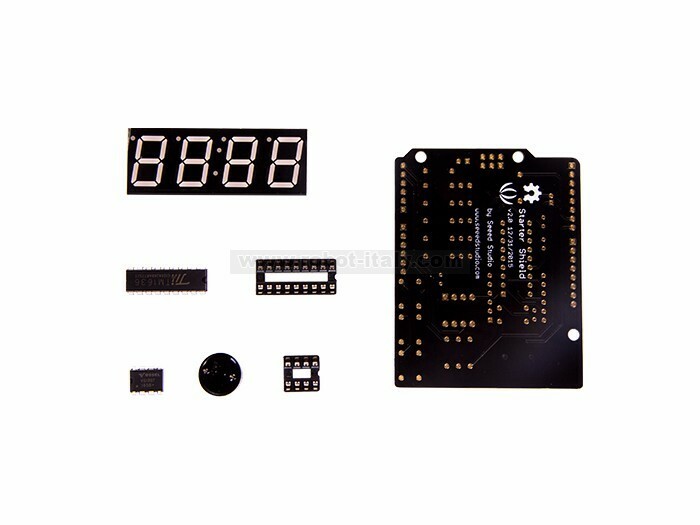 By playing with it, you can literally learn some basic skills that are required to be a maker, like soldering techniques, basic electronic circuit principles and programming skills. 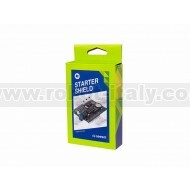 This Starter Shield is a perfect choice for the beginners of Maker World. 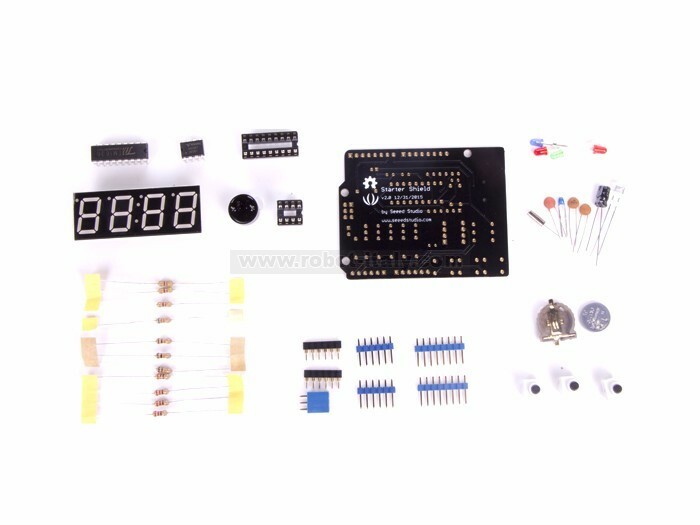 By playing with it, you can literally learn some basic skills that are required to be a maker, like soldering techniques, basic electronic circuit principles and programming skills. What? 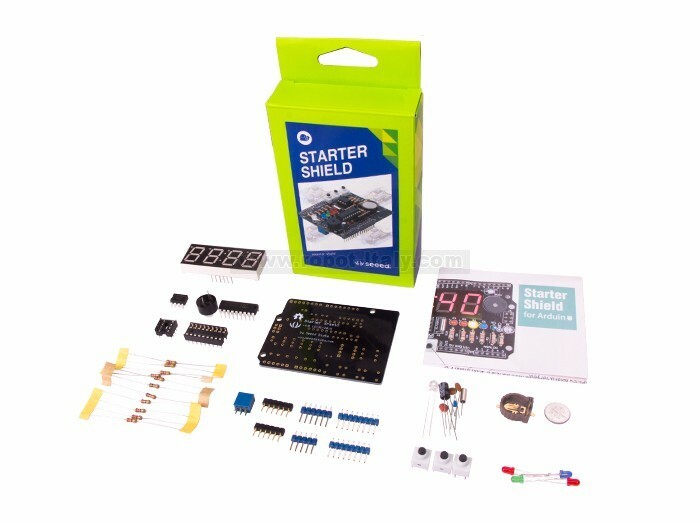 Afraid of soldering and programming? Don’t worry, we’ve prepared a very detailed Soldering Guide and fully supported library of programming examples from easy level to hard level, you can always find something useful in it. 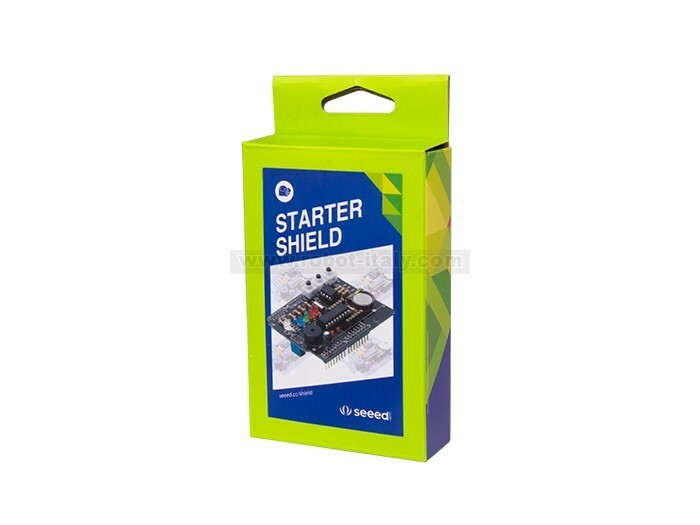 Starter Shield contains most commonly used components like buttons, light sensors, temperature sensors, buzzer and display etc. Once you finish the soldering task, you’ll find out it’s actually a geek style alarm clock which can auto adjust the brightness of display and keep in synch with real world time. Yet, you have to connect it to an Arduino/Seeeduino board and download the code first.